As reported by this blog, depositions are a critical aspect of the American legal system. In order for those in question to receive a fair and just trial, the lawyers representing them must have as much information as possible. To do so, these professionals will use court reporters to record what a witness says in a deposition before the actual trial. This is an essential part of the process. According to the Orlando Sentinel, "A deposition is a legal proceeding conducted in accordance with certain court rules to gather evidence and preserve the testimony of a witness for use in court." 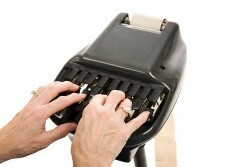 As such, a court reporter will always be present at a deposition and will play a major role in the proceeding itself. Depositions are usually held either at a law firm or in a court reporter's office. 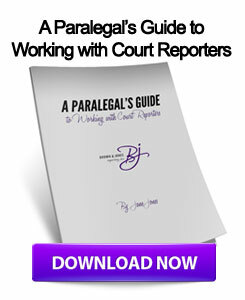 By partnering with court reporters that offer video deposition services, litigators can obtain the most comprehensive deposition transcripts available as they can be both a written manuscript as well as a video of the proceeding. While, a case cannot be won in a deposition, it is a critical process for allowing lawyers to gather evidence and information. One side may be using the testimony as a way to figure out the strategy and objectives of the other attorneys, while also attempting to discredit the witness, according to the source. Regardless, for lawyers in the Midwest, partnering with Wisconsin court reporters that offer video deposition services is an excellent way to ensure that a witness's testimony is effectively transcribed. This entry was posted on Tuesday, October 23rd, 2012 at 10:20 am	and is filed under All Posts, Court Reporting Services. You can follow any responses to this entry through the RSS 2.0 feed. You can skip to the end and leave a response. Pinging is currently not allowed.